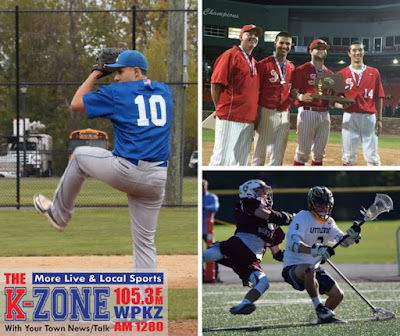 On this week's episode of "The Local Sports Lunchbox" on WPKZ, I chat with Sean Sweeney of the Sentinel & Enterprise, and Tom Flanagan of the Telegram & Gazette to close the book on an exciting spring sports season in Central Mass. From baseball and softball to boys' and girls' lacrosse, we cover it all, and I rant a bit about the Celtics and the NBA Draft toward the end. We may also discuss the new Han Solo movie, but you'll just have to listen in below to know for sure.